If you are wild about animals and the not-so-human interest they can bring to a room, you are not alone. 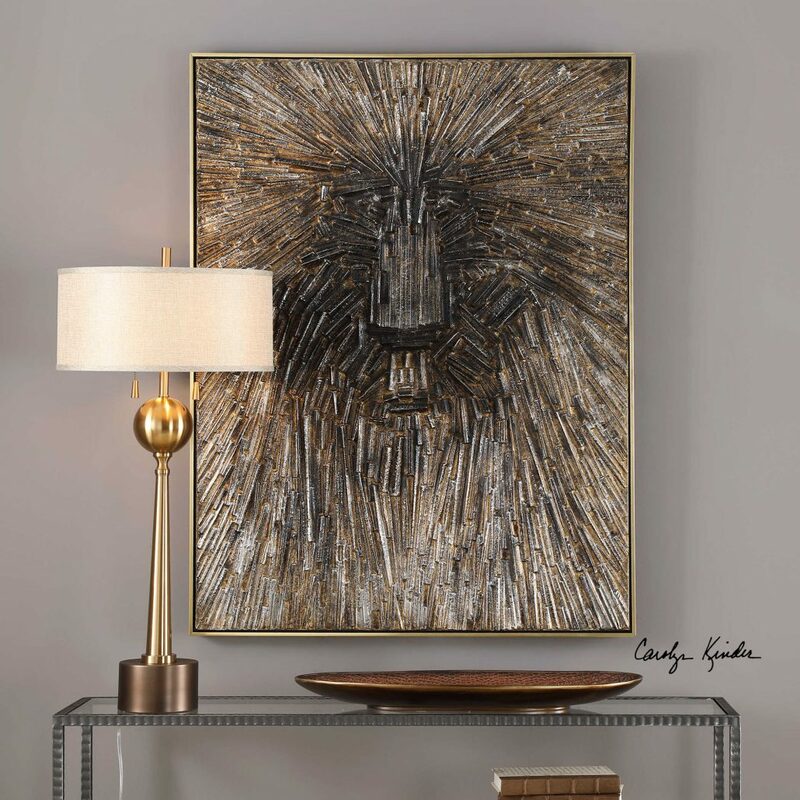 While animal print rugs, fabric and wallpaper can make a huge impact, don’t forget to consider animal-inspired art and accessories to add a little wild life to your next interior design project. 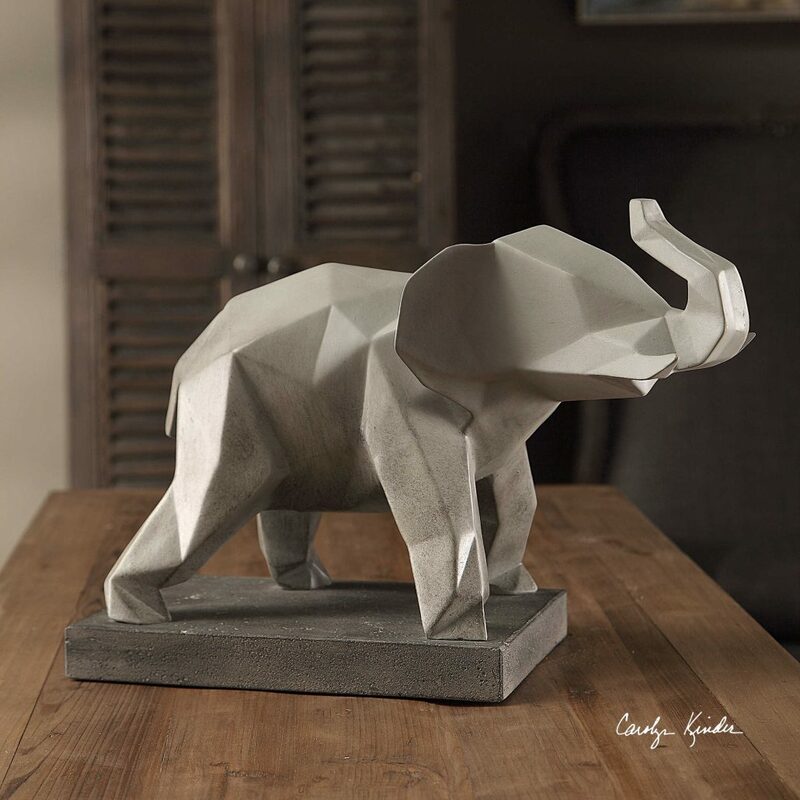 The Duke Modern Elephant Sculpture features a striking geometric style with a cool grey ombre finish and highlighted edges. Mooooove over Mootilda, Matty the Cow is here. This bovine beauty stands artfully abstracted in her pink and purple pasture. 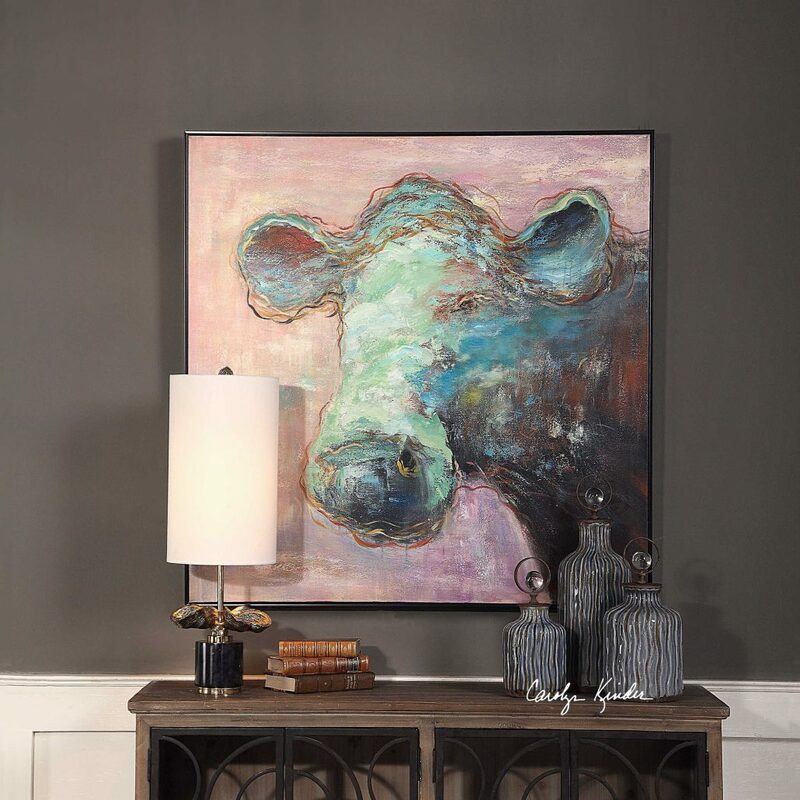 She’s sure to be the focal point of any room and the center of every conversation. 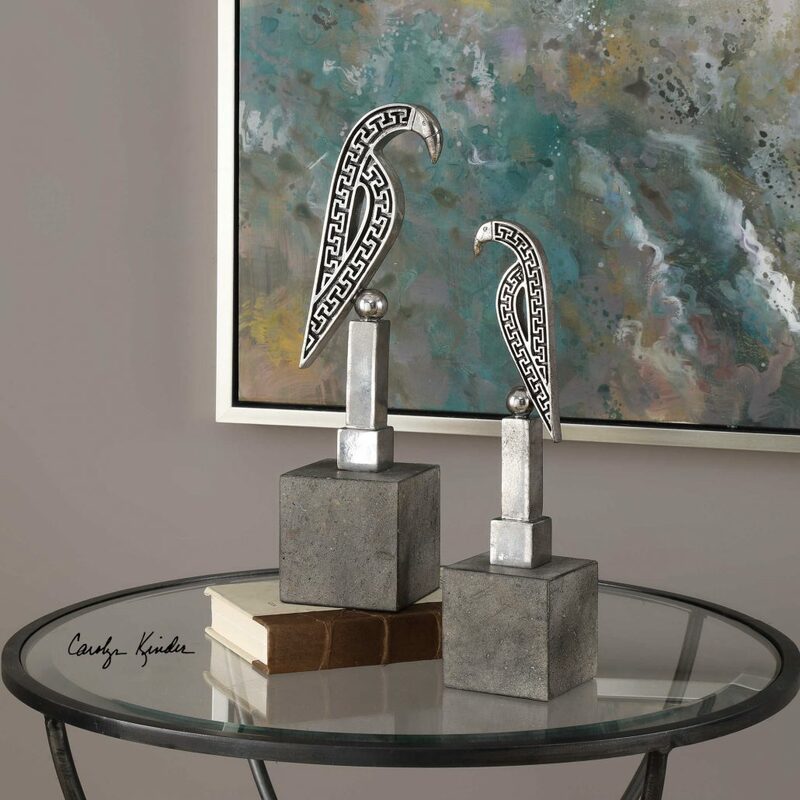 The Navya Sculptures feature antiqued silver birds perched atop lightly antiqued concrete cube bases. 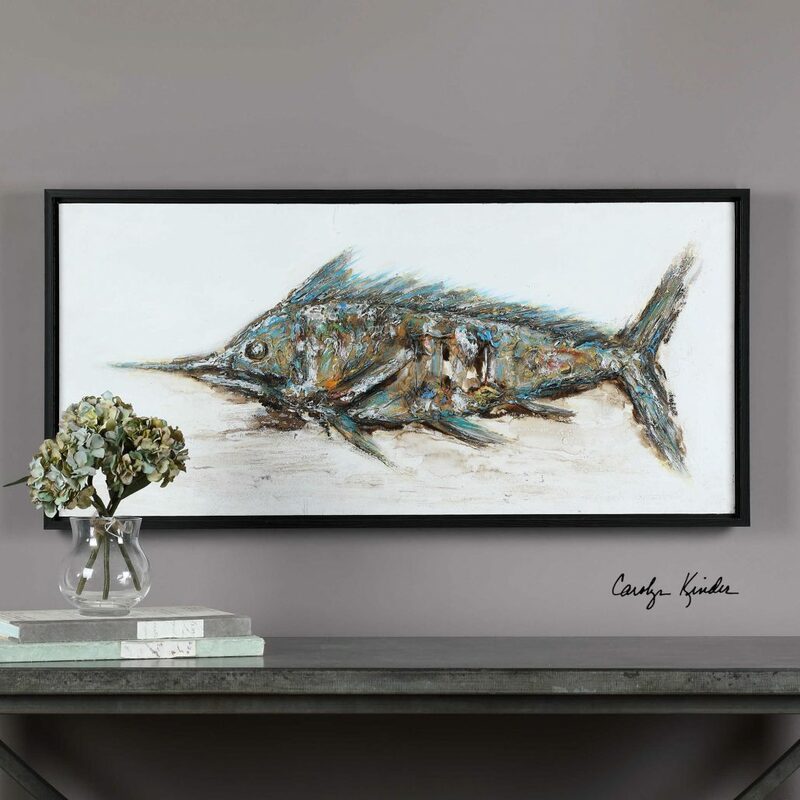 The Blue Marlin Hand Painted Wall Art is heavily textured using vibrant blues, greens, browns, brick red, warm ochre and grays. A 3-dimensional effect is achieved by using pieces of iron for the ribs of the fish. 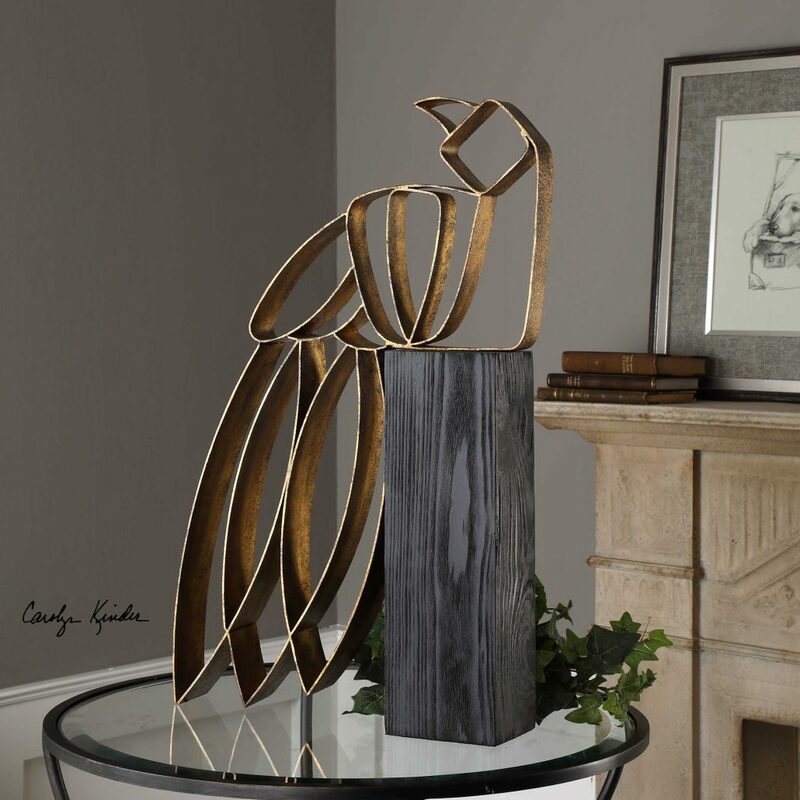 The Perched Parrot Sculpture features lightly antiqued gold leaf, and an open iron parrot perched atop an aged-black pine wood pillar. Woven wire makes an intuitive medium to illustrate the flowing lines of the equestrian form. 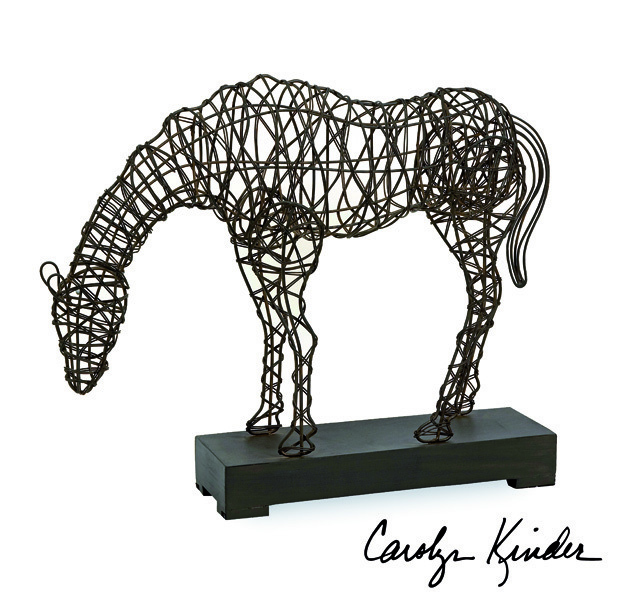 A popular and evocative way of depicting this magnificent animal, Carolyn Kinder International captures calm beauty in the Anatole Woven Horse Statuary. 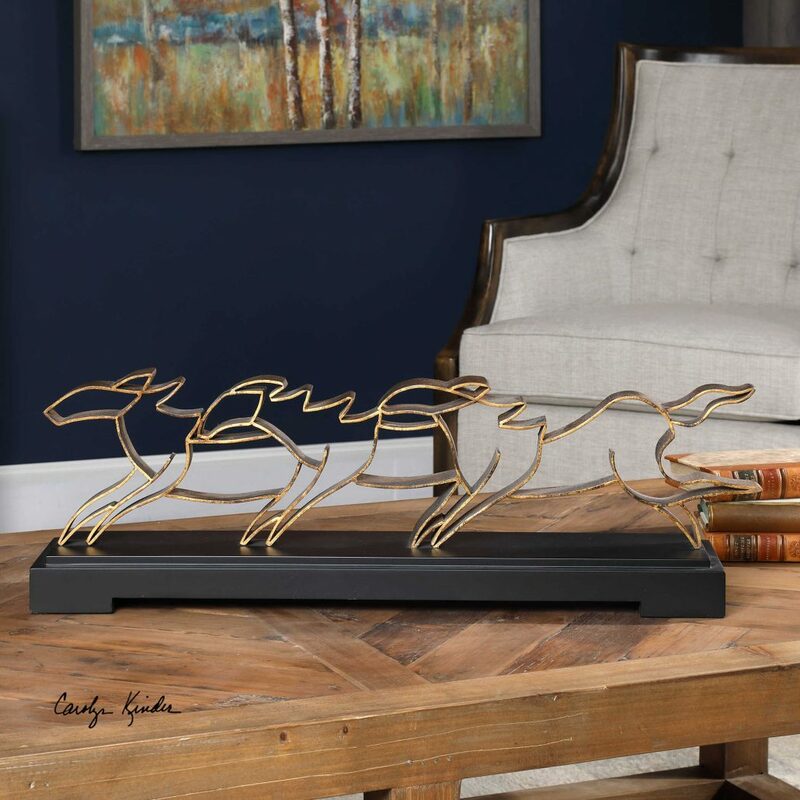 Designed by Carolyn Kinder International, Wild Horses Sculpture is comprised of three, running wild horses finished in an antique gold leaf, set on a matte black base. 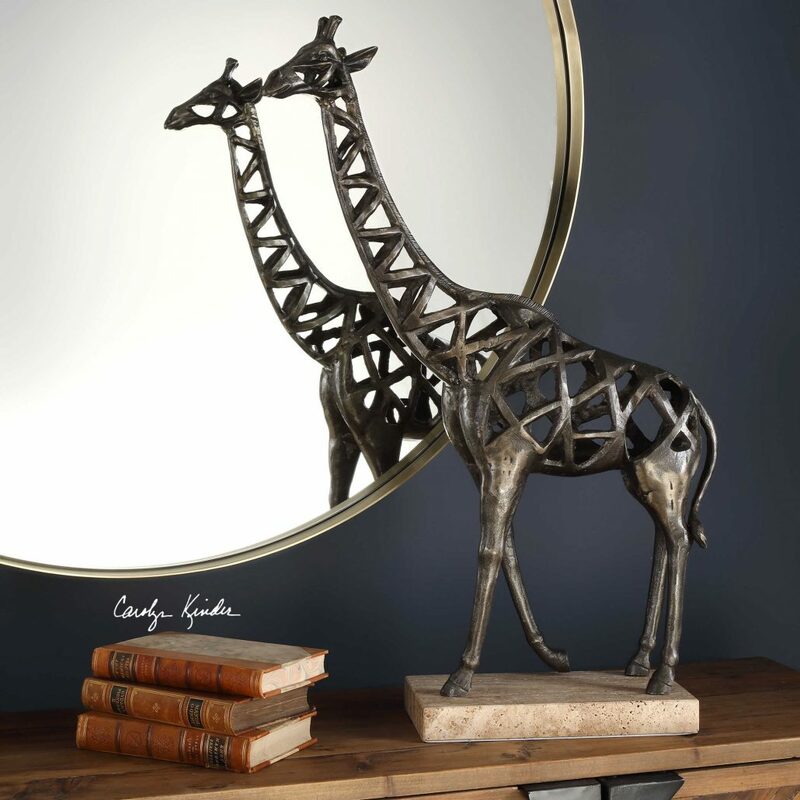 Designed by Carolyn Kinder, the Tajiri Giraffe Sculpture is a pierced, cast iron giraffe set on a tan travertine base. Caught in mid stride, this abstract art piece is always a conversation starter. Mysterious Wall Art is a 3-dimensional artwork has the look of thin strips of wood arranged in a pattern to create an abstract face of an animal. A thin, gold gallery frame completes the outer edge of this mesmerizing piece.